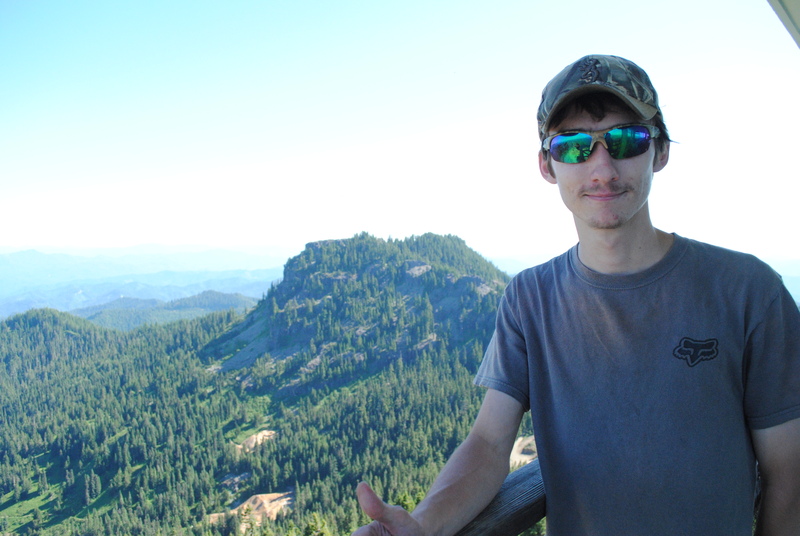 At Fairview Peak Lookout; July 2013. Hello, my name is Ian. I was born in Eugene, Oregon and spent the first twelve years of my life there until my family and I moved to Grants Pass in 2005. After graduating from high school in 2011, I moved back to Eugene to further my education at Lane Community College. I began taking classes at Lane in 2011 focusing on an AAOT degree in Media Arts. I have also worked in the Titan bookstore on campus since the time I began taking classes. Some of my personal hobbies include: Spending time with my family, four-wheeling, hiking and exploring new areas, hunting/fishing, photography, making short videos of some of the cool places I’ve visited. By the time I leave Lane, I hope to have improved my skills enough to draw me even closer to a career that I will enjoy. Thanks for taking the time to visit my blog and find out a little bit about me! BTW: I have a twin brother that also attends Lane, so don’t be surprised if you see 2 of me wandering around! This entry was posted in P1 Personal Blog on January 15, 2015 by macdonaldian93.